IT'S AN EXTRAORDINARY TIME AT DENVER ACADEMY. Over the past 46 years, DA has developed a student-centered, transformative model that empowers diverse learners to excel. THIS YEAR IS UNIQUE. This year, we invite you to invest in our school now and for the next 50 years by supporting both our annual fund and our momentous 50th Anniversary Building on Excellence campaign. We need your support to ensure success! Giving is part of Denver Academy's culture. Every year, our community comes together to support The Fund for Denver Academy, a vital revenue source that helps our students flourish. Our school relies on and benefits from the support of our amazing DA community - parents, grandparents, alumni, faculty, staff, and friends - to promote our mission and help ensure that our students thrive. 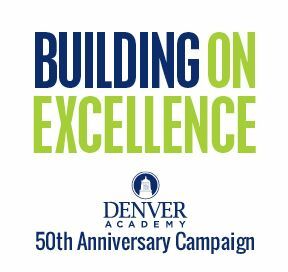 As we approach Denver Academy’s 50th Anniversary in 2022, we have embarked on one of the most impactful projects in the history of our school. 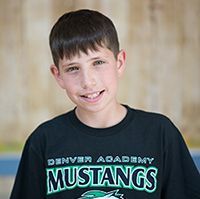 After years of planning and research, Denver Academy’s Board of Directors approved a two-phased construction project as well as a focused effort to grow our endowment fund. Phase Two includes a new Performing Arts Center to shine a light on our students’ talents and passions. The anticipated cost of Phase One and Phase Two is $25M. Phase Two construction will begin as soon as sufficient funds are raised. As of the beginning of the 2018-19 School Year, we have raised over $17.2 million for this campaign. We are thrilled with this generous support from the Board of Directors, faculty, staff and major donors! DA now needs the help of everyone in our community and beyond to ensure success. Please give to the Building on Excellence campaign today. "DA has impacted my life by pushing me to be a better me. They've given me the personal help and tools I need to succeed."